On A Series of Unfortunate Events, the Baudelaire children make one final attempt to evade their past and Count Olaf, but did they succeed? 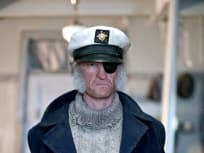 "The Miserable Mill: Part One"
On A Series of Unfortunate Events Season 1 Episode 7, the children realize their big idea was not the best one and find themselves in more trouble than ever. 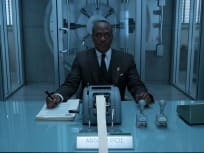 "The Wide Window: Part Two"
On A Series of Unfortunate Events Season 1 Episode 6, The kids realize they are stuck in a vicious circle with Mr. Poe and make a harsh decision. 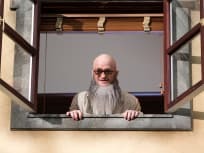 "The Wide Window: Part One"
On A Series of Unfortunate Events Season 1 Episode 5, the children make their way to their next guardian, but they are shocked by how scared she is of reality. 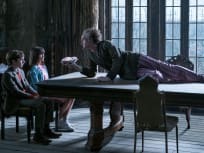 "The Reptile Room: Part Two"
On A Series of Unfortunate Events Season 1 Episode 4, the children desperately try to prove that Count Olaf is responsible for the crimes, but nobody believes them. 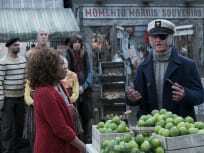 "The Reptile Room: Part One"
On A Series of Unfortunate Events Season 1 Episode 3, the children make their way to their rightful guardian, but they quickly realize that trouble is not far behind. 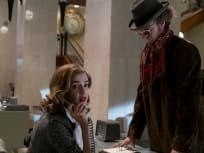 "The Bad Beginning: Part Two"
On A Series of Unfortunate Events Season 1 Episode 2, Olaf steps up his reign of terror in order to get closer to the Baudelaire fortune, but who stood in his way? "The Bad Beginning: Part One"
On A Series of Unfortunate Events Season 1 Episode 1, the Baudelaire children find themselves in peril when they learn that their parents are dead. Klaus: It could be a problem with the gears. Violet: That would be a problem, I made them myself. Permalink: That would be a problem, I made them myself. Mother: I'm worried about the children. Father: Me, too. They're in danger, I know it. Mother: We need to get to them. Father: We need to get out of here first. Mother: What's that thing Einstein said? Permalink: What's that thing Einstein said? Lemony Snicket's A Series of Unfortunate Events: Renewed for Season 2! !